PracticeCompass provides full technical support services for its SaaS (Software as a Service) platform. We centralize our support and address your needs with a support ticketing system, attending to each customer’s needs. 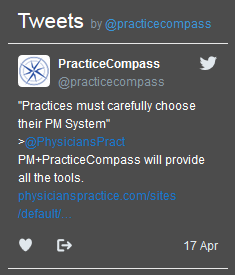 If you have any questions with your service, system features, installing requirements, integration, or other things preventing your PracticeCompass service from working at optimal levels, please contact us.